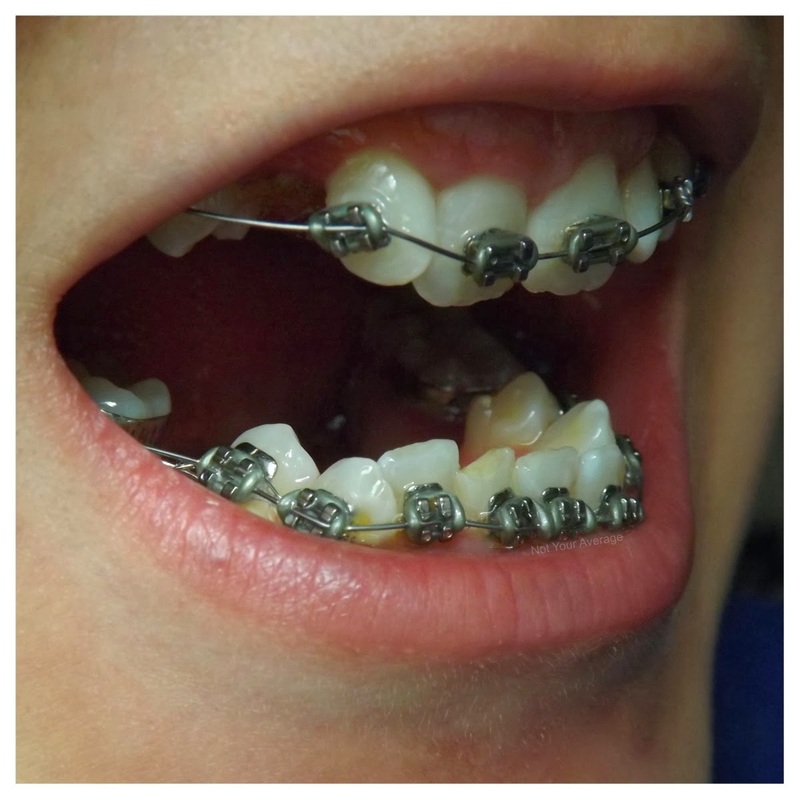 Here’s the next instalment to my ‘Braceface’ series. If you missed the first two, you can catch up with them here and here! 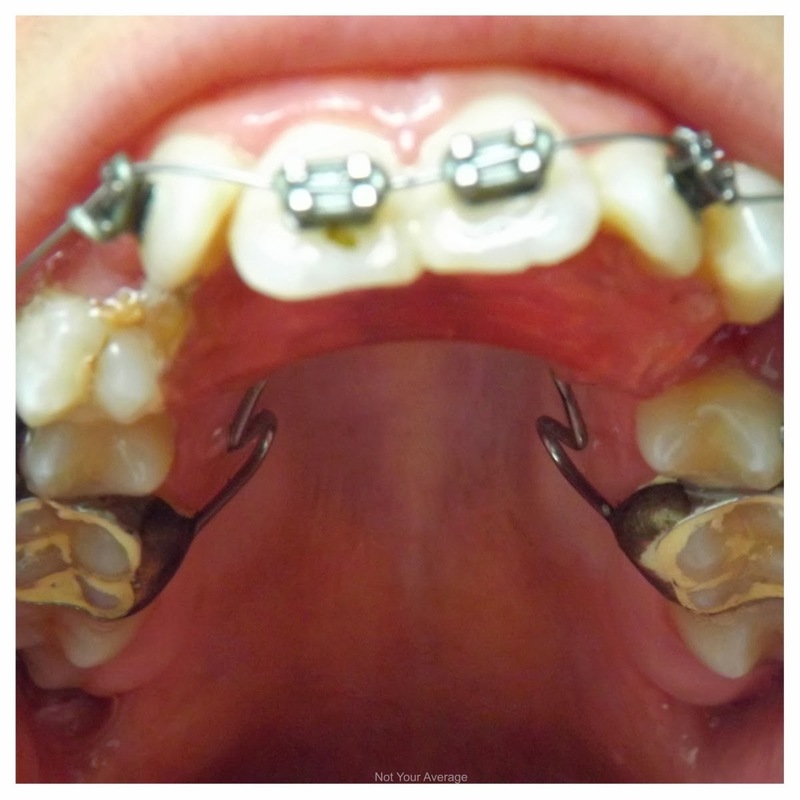 So, the next step in my braces procedure was to have 4 extractions. Yes, 4 TEETH OUT! Ouch! I’d never had any teeth out before apart from one that was imbedded up in my gum and this had to come out via general anaesthetic in which I can’t really remember much of what happened. 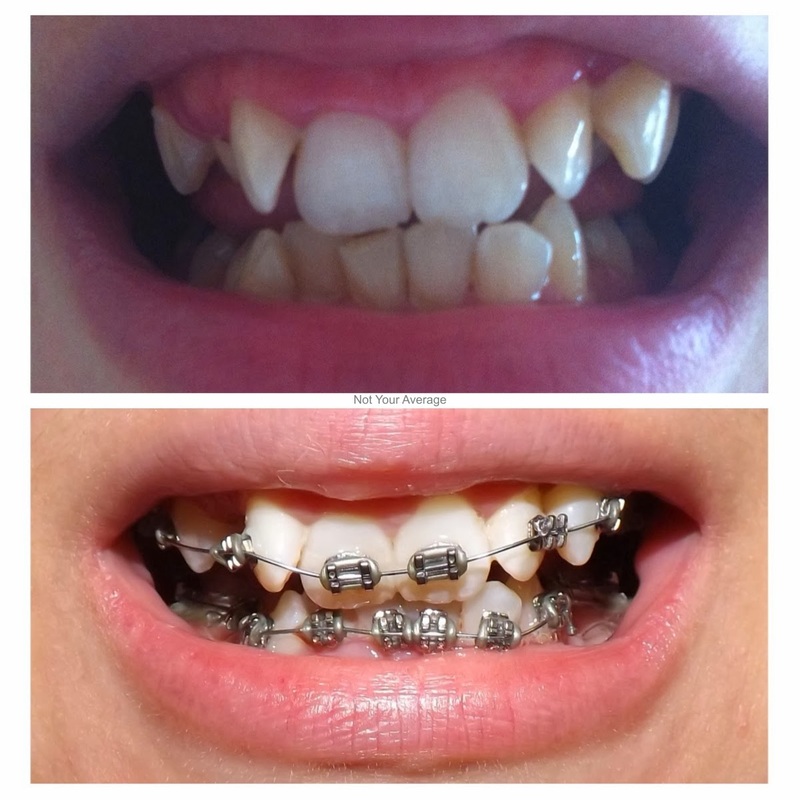 I was booked in to have 2 extractions on the 7th October and the following 2 a week later on the 14th. This all went ahead and wasn't too bad. The process of extractions is quite simple and really quite quick, whether it’s because I feel at ease with my dentist as i’ve had the same once since I was 2 or just that the procedure really isn’t that bad. You have a small injection in your gums surrounding the tooth that is coming out and the same on the inside of your gums to numb the area completely. The first week I had my top teeth removed so my nose and face was all tingly and felt really strange. He tugged a little and twisted and they were out. I was in and out of the dentist in 10 minutes! The next week he removed my bottom teeth, this was the same process with the injections etc but this time, my lip felt HUGE and it was a really strange sensation. I found it really hard to drink without dribbling loads! There isn’t much blood involved either, I just rinsed my mouth out with a little salt water 10 minutes after I had them removed and they’ve been fine since. My dentist even asked if I wanted to keep my teeth but I think i’m a little old for the tooth fairy now, don’t you!? 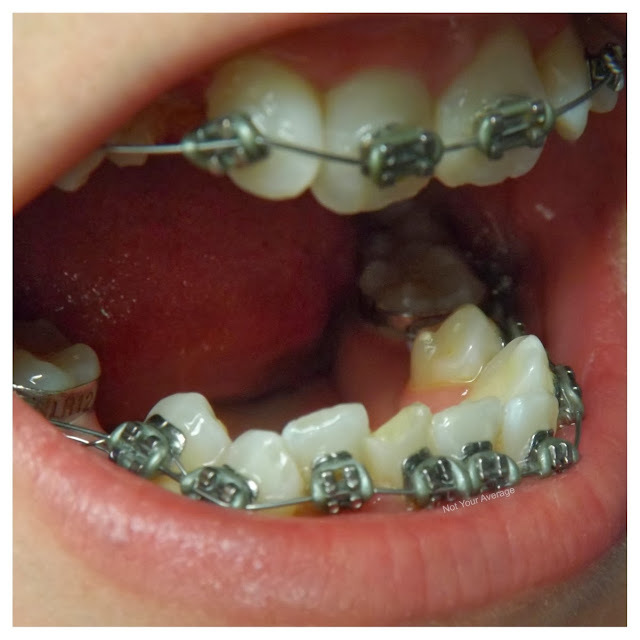 The next step was (what I thought) the preparation for the brace in which the tiny squares get stuck onto my teeth but when arriving at the Orthodontist, they told me i’d be having my braces completely fitted. Oh. I wasn’t expecting it and I wasn’t prepared - i’d have eaten more over the weekend if I knew this!! The whole procedure of putting the braces on was about an hour or just a little more, boring and uncomfortable but it had to be done. I can’t really remember what happened, there was lots of water sprayed into my mouth, that suction thing was in there too, some scraping, some poking and lots of pulling! I kind of dozed through the whole thing if i’m honest as I was lying down and had my eyes closed. I know that they applied the squares first, then set my false plate in which is there to create a lower bite and then connected the wires etc - that’s the uncomfortable part! As you can see, I have a full set of ‘train track’ braces as well as a plate that sits where a retainer would which is preventing me biting up as my bite is larger than what it’s meant to be. In english, when I close my mouth, my bottom teeth would sit too far up behind my front teeth and it wasn’t helping with the alignment of my jaw / teeth. The braces are strange and so is the plate, the white stuff you can see on my molars is cement for the plate and will come off in time, bit by bit but for now, i’m still getting used to them. I HATED them at first, they hurt, I couldn’t eat, they make me talk funny (think of Sid from Ice Age) and i’m constantly picking food out of my teeth / brace and brushing them 3 times a day! But, like everyone is telling me, it’ll be worth it! In 2 years time, i’ll have lovely, straight teeth and i’ll be happy to show them off but at the moment, I must admit that my confidence has taken a beating and i’m finding it difficult to talk to strangers or smile etc. I hope this changes once I get used to them!! So, that’s it for now. I’m not expecting to see a huge difference anytime soon but I have another appointment before Christmas where they will be tightening them and may have noticed a small change when it comes to then. 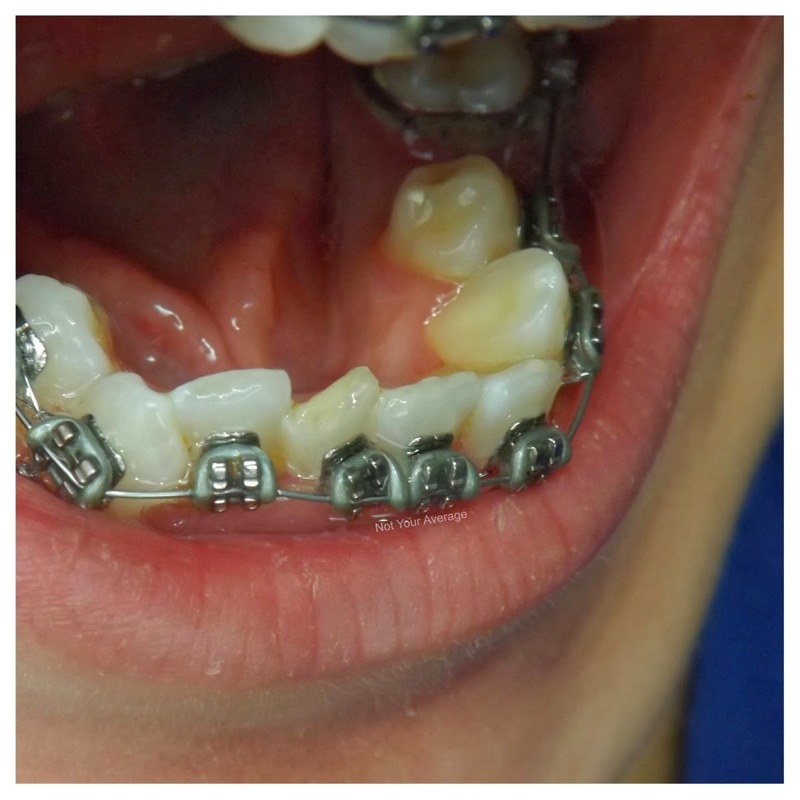 Have you had braces?! Was it worth it for you? Did you struggle with eating?! Oh wow, head gear!? I didn’t even think that actually existed! But at least you thought it was worth it. You need to wear your retainer though or else it was all pointless! Eating and having to brush my teeth after everything I ate was an absolute pain when I first got braces, but I'd say within a month it gets a massive amount easier! I found my confidence was knocked to begin with, I'd cover my mouth when talking, but nearly a year and a half later, I don't care nearly as much. The only thing that bothers me is that people assume I'm younger than nineteen because of them. I had braces later in life (I was around 27) and they were the train-track style ones as well. Initially it did ruin a bit of my enjoyment of food, but after a month or so I got used to it (although I wouldn't go near a burger!) and it is encouraging when you start to see your teeth straightening out, which for me happened within the first few months (I had the brace in for 2 yrs in total). I have to have mine on for 2 years too but i managed to eat a McDonalds cheeseburger believe it or not! I kinda have got used to them but definitely not forgotten they’re there. So annoying picking food out my teeth etc but like you said, be worth it in the end! Ah, this is making me nostalgic! Haha, I used to love my orthodontist, he was lovely. Braces are a horrible process but SO worth it. When you have them off you won't be able to stop looking in the mirror haha :) You'll start to see a real change quite soon as well. My two front teeth at the top really badly overlapped and they straightened within the first 6-9 months, I was frustrated cus I wanted my braces off then but you have to make sure they stay that way lol. I’ve started to see a slight movement in my front teeth already, its crazy how fast it works but my whole mouth needs to be realigned pretty much so got a long wait ahead of it. I wanted to blog and keep track to see the change but also to let people know you’re never too old to get a brace!! 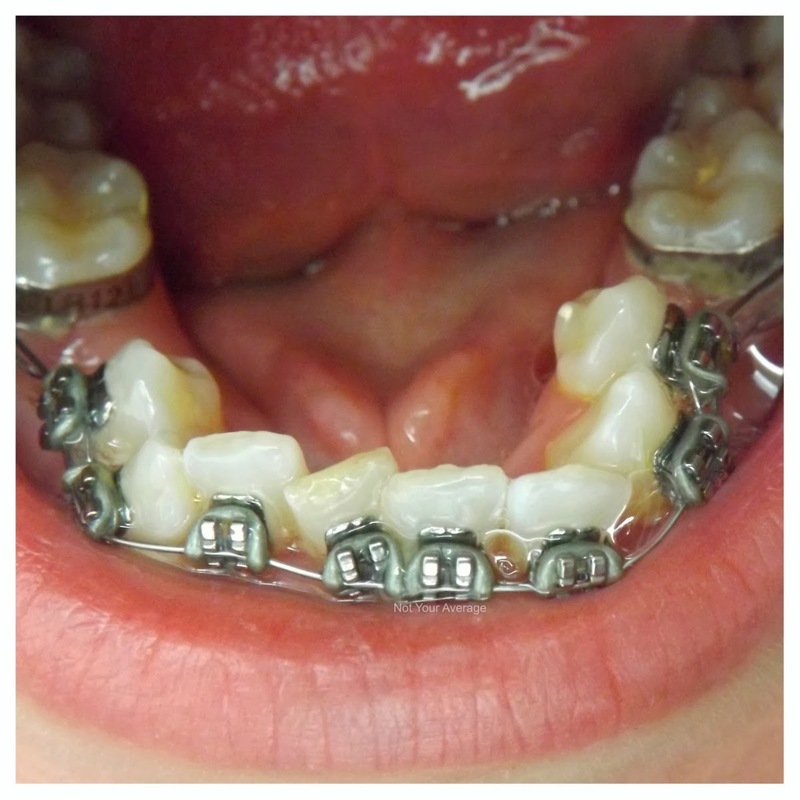 I still had baby teeth when I had this fitted but they removed them (all 4 of them)!